What Are the Differences Between These Two Materials? The differences between wood and composite decking are quite simple. Wood decking consists of 100 percent solid wood planks, posts or boards. Composite, on the other hand, is a fabricated material made from synthetic elements such as plastic, and usually combined with wood particles. 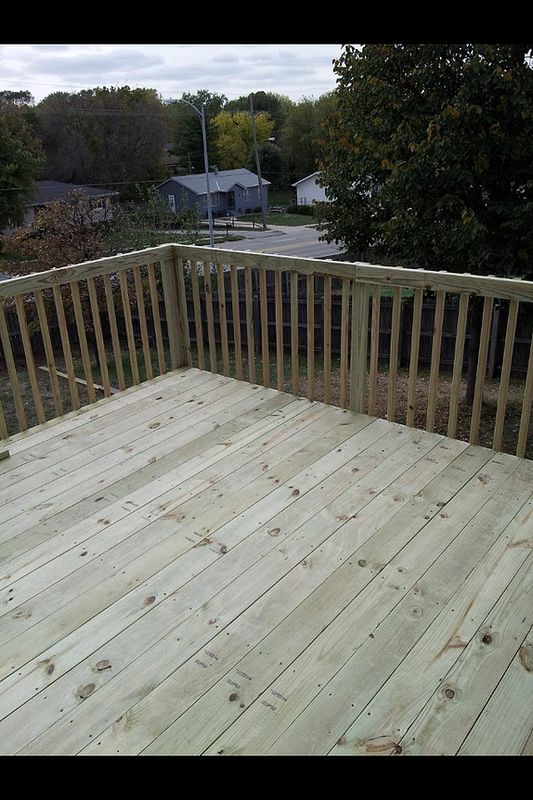 As with most choices, there are benefits and disadvantages to both types of deck material, which we’ll cover here. 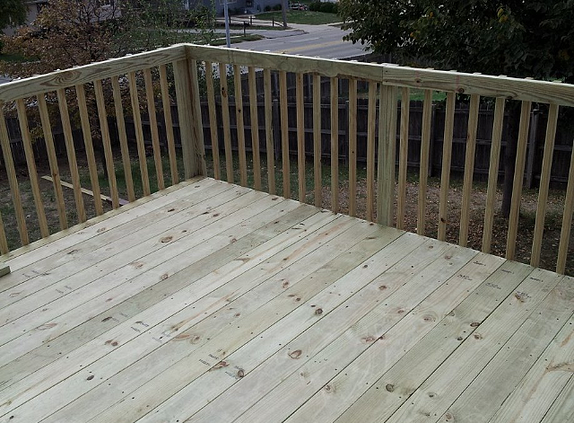 Wood decking – Depending on the type of wood you choose for your deck installation, the boards might warp in moist conditions or even fall apart. Wood decks generally require more maintenance, which some homeowners find too time-consuming. Composite decking – Composite decks also might warp if you’ve invested in a cheaper type. Hollow boards can hold water inside them and eventually break down. The color may fade over time, and they don’t tend to last as long as high-quality wood decks. Wood decking – There are a variety of good wood types that can be suited for your particular environment. For example, cedar smells wonderful and can be ideal in drier climates. Redwood is durable and does better in more humid conditions. The upkeep might be less than many people would assume. Properly maintained decks made of quality wood can last for years. Composite decking – High-quality composite boards are durable and look amazingly like real wood. Many types are UV-treated and scratch-resistant, and upkeep is minimal. Many people prefer the cost of a composite deck over wood, because over time the reduced treatments and upkeep pay for themselves. The type of deck material you choose in your deck installation will mostly depend on your personal preferences. Your lifestyle, climate and the time you have to provide upkeep can greatly influence your decision. If you need help making a decision give us a call at G&K Construction. For a free quote, click here!